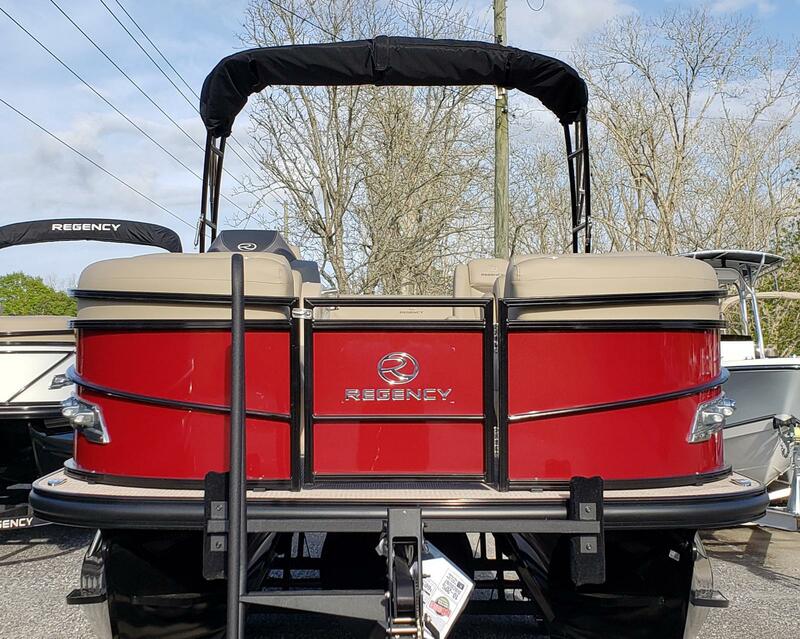 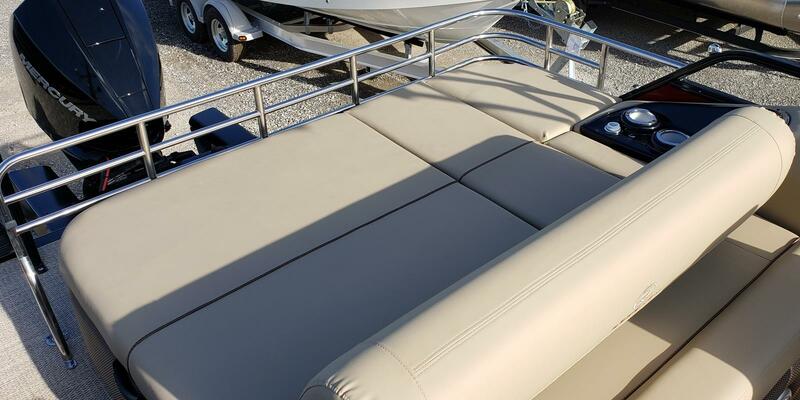 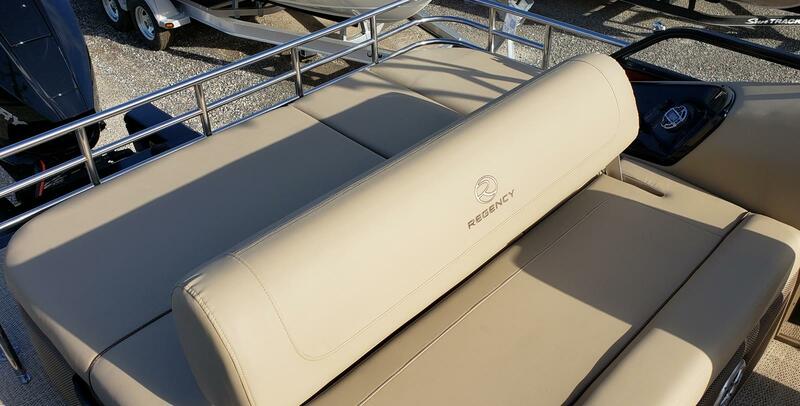 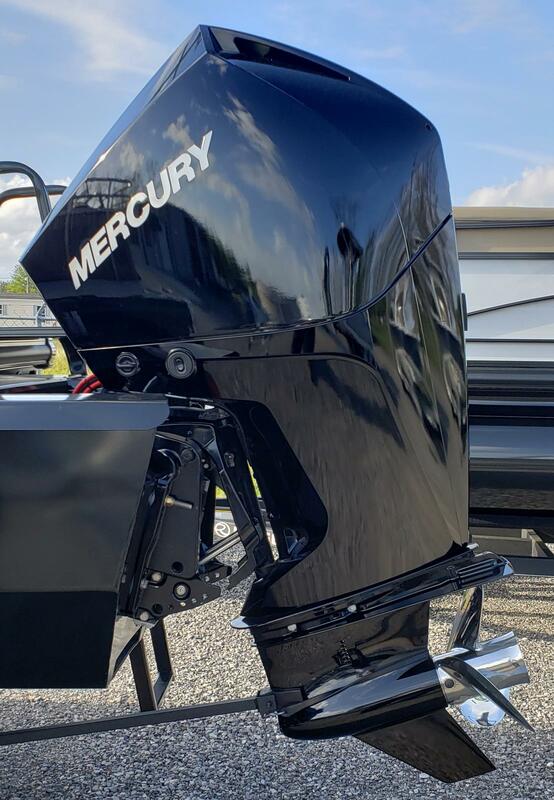 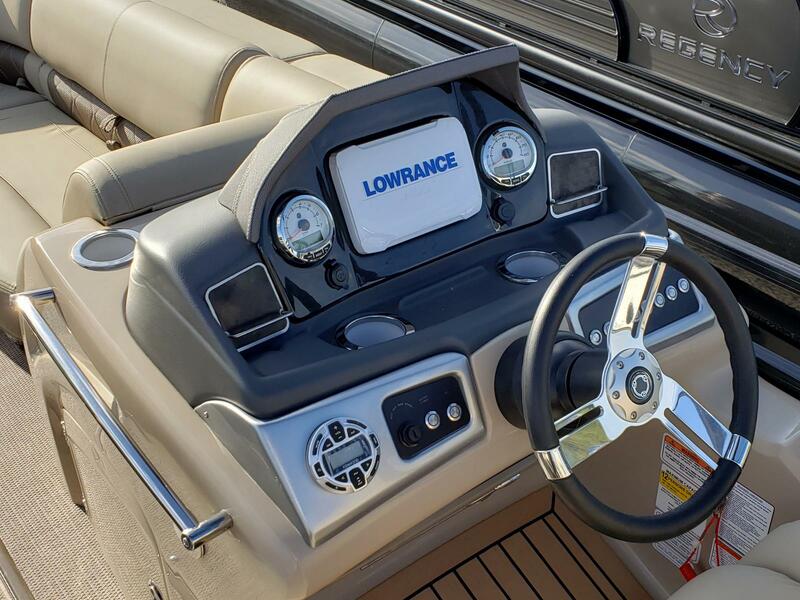 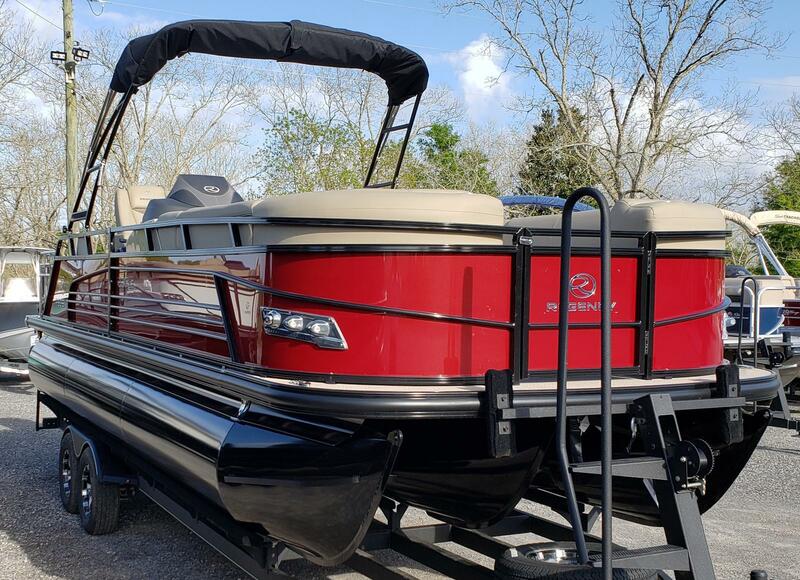 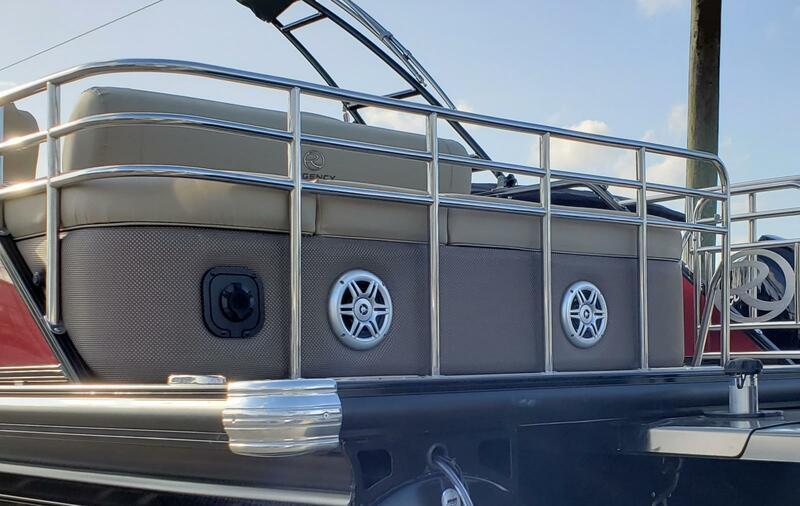 2019 Regency 230 LE3 Sport pontoon with 200 Mercury four stroke. 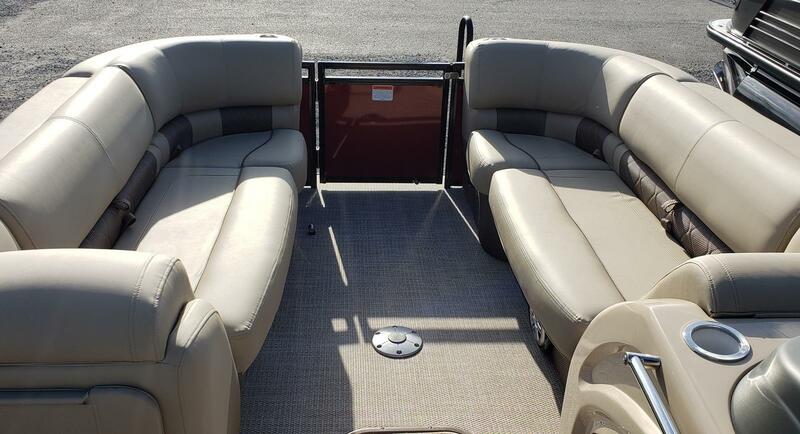 This beautiful triple pontoon is equipped with all the amenities you can expect for a day of stylish relaxing.. Kenwood stereo, interior blue led lighting, plush seating with twin reclining captain's chairs and massive rear lounge with remote stereo controls, ski pylon, aft raw water washdown, Lowrance HDS depthfinder/GPS with rearview camera, underwater lighting, power assist hydraulic steering and much, much more. 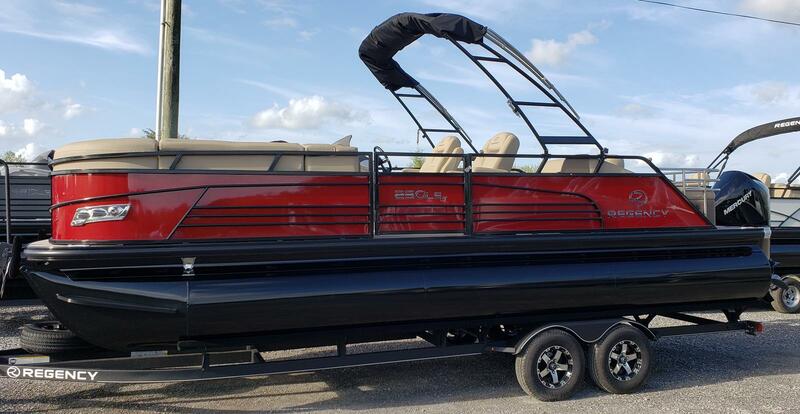 A galvanized and powder coated trailer is included in the price. 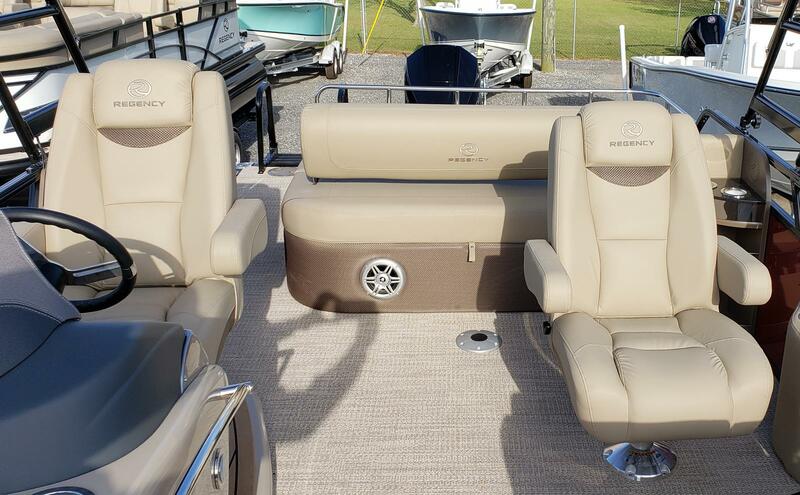 Come see this head turning Regency at Scott's Marine!